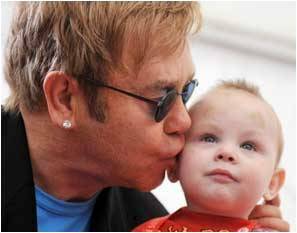 The first book detailing Sir Elton John's personal experiences of the global AIDS epidemic, is all set to be published. Proceeds from the sale of 'Love Is The Cure' will go to the Elton John AIDS Foundation (EJAF). "This is a disease that must be cured not by a miraculous vaccine, but by changing hearts and minds," the BBC quoted John as saying. The book to be published by Hodder 'n' Stoughton will be released in July to coincide with an international Aids conference in Washington DC. Founded by John in 1992, EJAF has raised more than 225 million dollars to support projects in 55 countries around the world. In May, the 64-year-old held talks with UK Prime Minister David Cameron about the work of the foundation. An estimated 33 million people worldwide are living with HIV, while more than 60 million have been infected since the beginning of the pandemic. The singer hoped that the book would tackle the stigma of AIDS. "Why are we not doing more?," he said. "This is a question I have thought deeply about, and wish to answer - and to help change - by writing this book," he added. The non-fiction book is described as "the very personal story of Sir Elton's life during the Aids epidemic, including his agony at seeing friend after friend perish needlessly". The book will be published in July along with an audio book read by the British pop star.